The Office of Mauna Kea Management (OMKM) is pleased to announce the hiring of Fritz Klasner as its first Natural Resources Program Manager. The hiring marks an important milestone in the Office of Mauna Kea Management’s efforts to fulfill its long-term commitment to preserve and protect the rare and often fragile natural resources found within the Mauna Kea Science Reserve. Klasner earned his Masters of Science degree in Geography from Oregon State University and moved to Oahu in the late 1990s. In 2000, he was working at Hawaii Volcanoes National Park and followed the community conversations regarding the Office of Mauna Kea Management, its adoption by the University of Hawaii Board of Regents, and the formation of the Office of Mauna Kea Management, Mauna Kea Management Board and Kahu Ku Mauna by the University of Hawaii Hilo Chancellor. While Klasner may be new to the Office of Mauna Kea Management, he is well acquainted with OMKM’s history and mission. Prior to joining OMKM, Klasner worked at the famed Kenai Fjords National Park in Alaska, serving as Natural Resource Program Manager and Resource Manager. 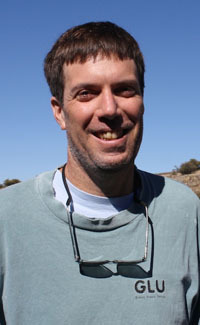 Prior to his work in Alaska, Klasner worked as an ecologist with the Pacific Islands Inventory and Monitoring Program at Hawaii Volcanoes National Park. Klasner has worked closely with communities on indigenous cultural traditions and beliefs — a practice that is also vital to OMKM’s work on Mauna Kea. The Office of Mauna Kea Management is charged with day-to-day management of Mauna Kea Science Reserve as prescribed in the Master Plan. The adoption of the Mauna Kea Science Reserve Master Plan by the University of Hawaii Board of Regents in June 2000 marked a critical milestone in the management of Mauna Kea. Meetings and public hearings spanning a period of nearly two years went into the formulation of the Master Plan, which established management guidelines for the next 20 years. The Master Plan reflected the community’s deeply rooted concerns over the use of Mauna Kea, including respect for Hawaiian cultural beliefs, protection of environmentally sensitive habitat, recreational use of the mountain, and astronomy research. It places the focus of responsibility with the University of Hawaii at Hilo (UHH). The UH-Hilo Chancellor established the Office of Mauna Kea Management and the Board of Regents established the Mauna Kea Management Board in the fall of 2000. The Mauna Kea Management Board in turn formed Kahu Ku Mauna, a council comprised of Hawaiian cultural resource persons to serve as advisors. The mission of the Office of Mauna Kea Management is to achieve harmony, balance and trust in the sustainable management and stewardship of Mauna Kea Science Reserve through community involvement and programs that protect, preserve and enhance the natural, cultural and recreational resources of Mauna Kea while providing a world-class center dedicated to education, research and astronomy.